Hello Members and welcome to the end of March, well its been a very traumatic and sad month for so many. I am mindful that the trauma in Christchurch will last long after the National Remembrance Service this week. The third meeting for 2019 will be this Sunday 31 at the Philatelic Centre, 67 Mandeville Street, commencing at 6.45pm for a friendly catchup and sales tables for those of you who wish to do a bit of trading. 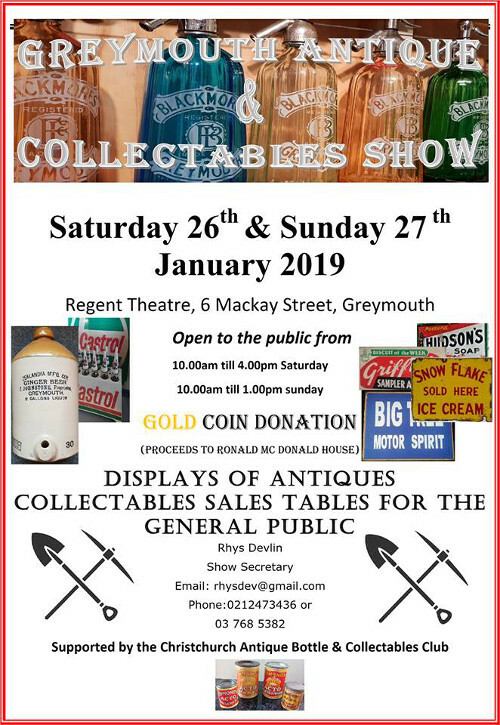 The second meeting for 2019 will be this Sunday 24th at the Philatelic Centre, 67 Mandeville Street, commencing at 6.45pm for a friendly catchup and sales tables for those of you who wish to do a bit of trading. The next Club function & meeting will be our end of year Christmas Dinner at the Philatelic Centre, 67 Mandeville Street, this Sunday 25th November, commencing at 5.30pm for noggin natter to set the festive scene with a sit-down meal from 6.00 p.m. provided by Indulge Catering. Those of you that still need to pay pre-booked tickets $26 please be early so we don’t delay proceedings and see Helen on your arrival. Food will be served on disposable plates if you wish to bring your own plates and cutlery you are welcome. 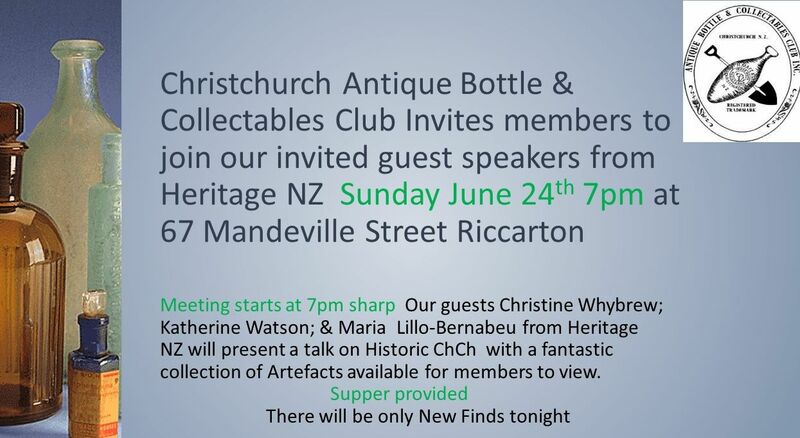 The next Club meeting will be at the Philatelic Centre, 67 Mandeville Street, this Sunday 28 October, commencing promptly at 7.00 p.m. Collectable theme of the Night is NZ Political and bottle related Item of the Night is an Ink Bottle or Inkwell. Also bring along your New Finds. Sales tables are available at no charge. Door charge is $3 per person and there will be a $1 raffle. On Sunday 25 November the Club will be having a catered Christmas meal instead of the usual barbecue. The price will be $26 per person with BYO drinks. 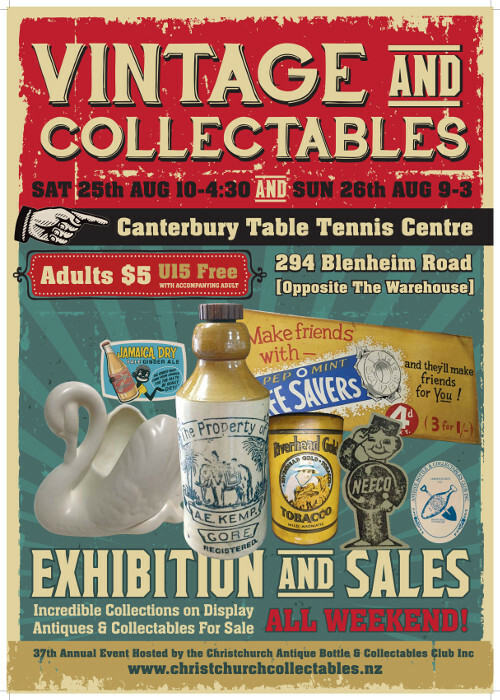 Donna Marie Lever reports on "Collectors dust off their Kiwiana memorabilia for vintage weekend"
The next Club meeting will be at the Philatelic Centre, 67 Mandeville Street, this Sunday 29 July, commencing promptly at 7.00 p.m. Items of the Night are a Natural History collectable and/or a Veterinary Related bottle. Also bring along your New Finds. Sales tables are available at no charge. Door charge is $3 per person and there will be a $1 raffle. Bill Newton is seeking hamper items for our local show raffle to be held at the end of August. If you would like to donate anything please bring it to the meeting or contact Bill via the contact page of this website. The Club's Annual General Meeting will be at the Philatelic Centre, 67 Mandeville Street, this Sunday 27 May, commencing promptly at 7.00 p.m. All officer and committee member positions are available so let someone know if you wish to be nominated. There will not be Items of the Night but still bring along your New Finds. Sales tables are available at no charge. Door charge is $3 per person and there will be a $1 raffle. Subs for the coming year are due on 1st June and it would be greatly appreciated if they are paid promptly. The next Club meeting will be at the Philatelic Centre, 67 Mandeville Street, this Sunday 29 April, commencing promptly at 7.00 p.m. 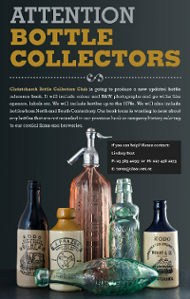 Item of the Night is Favourite Collectable and Favourite Bottle. Also bring along your New Finds. Sales tables are available at no charge. Door charge is $3 per person and there will be a $1 raffle. Invoices for Subs will be handed out at the meeting and it would be greatly appreciated if they are paid promptly. 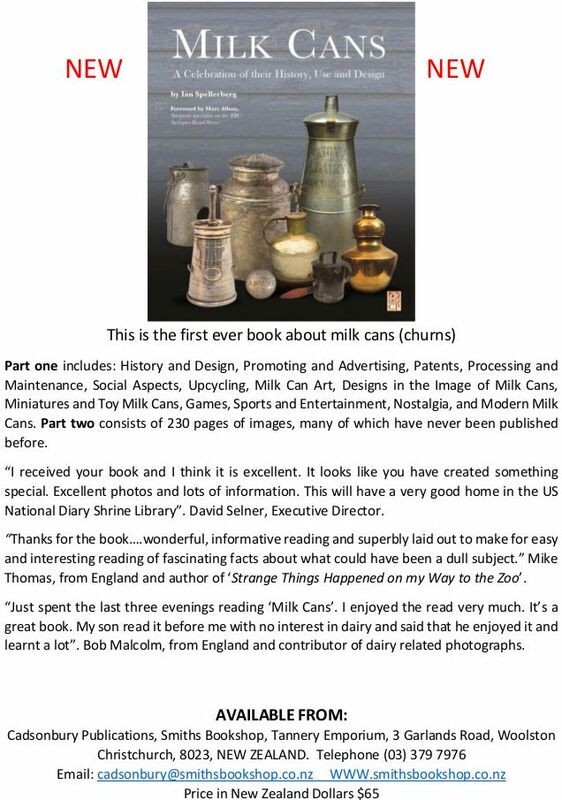 Contributions to forthcoming Club magazines are always eagerly sought, please send these to Hugh via the contact page of this website. The next Club meeting will be at the Philatelic Centre, 67 Mandeville Street, this Sunday 25 March, commencing promptly at 7.00 p.m. Item of the Night for Collectables is "Optical Novelties". Item of the Night for Bottles is "American Bottles". Bring along your New Finds. Sales tables are available at no charge. Door charge is $3 per person and there will be a $1 raffle. Contributions to forthcoming Club magazines are always eagerly sought. Please send these to Hugh via the contact page of this website. The next Club meeting will be at the Philatelic Centre, 67 Mandeville Street, this Sunday 25 February, commencing promptly at 7.00 p.m. Item of the Night for Collectables is Victorian China & Glass. Item of the Night for Bottles is Victorian Soda Water. Sales tables available at no charge. Door charge is $3 per person and there will be a $1 raffle. Contributions to forthcoming Club magazines are always eagerly sought. Please send these to Hugh via the contact page of this website. Just a column of advertisements courtesy of the National Library of New Zealand's Papers Past, taken from a 1918 NZ Truth (shown below, click read more). The ads contain familiar names of buildings and brands that lasted many years. Remember the United Services building? The Oxford Hotel? Wards beer? Ballins soft drinks? KAKA ALE and GOLD TOP ALE are brands well known to NZ breweriana collectors. I wonder what they tasted like? The next Club meeting will be the final meeting of the year, held at the Philatelic Centre, 67 Mandeville Street, this Sunday 26 November, commencing at the earlier time of 6.00 p.m. There will be New Finds but NO items of the month and NO sales tables. Door charge is $3 per person and there will be a Special Christmas Raffle. BBQ sausages and meat patties will be supplied. 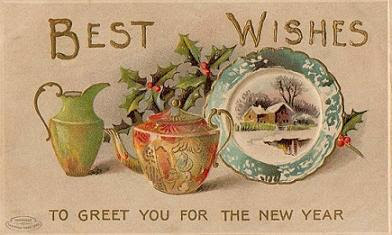 Bring your own glass, plate, bowl, cutlery and beverage of your choice. Members whose surname starts between A - M please bring a salad to share and those between N - Z please bring a dessert to share.